Council houses are set to be built again across Bolsover District as the Authority has entered into a new four-year house building partnership with Robert Woodhead Ltd. Titled B@Home, the Partnership, which was procured through the Efficiency East Midlands (EEM), New Build Developer Framework aims to deliver over 100 high quality, energy efficient homes, over the four year period. • Meet the buyer events, which aim to provide opportunities for local businesses. • Work with local schools for the life of the Framework. 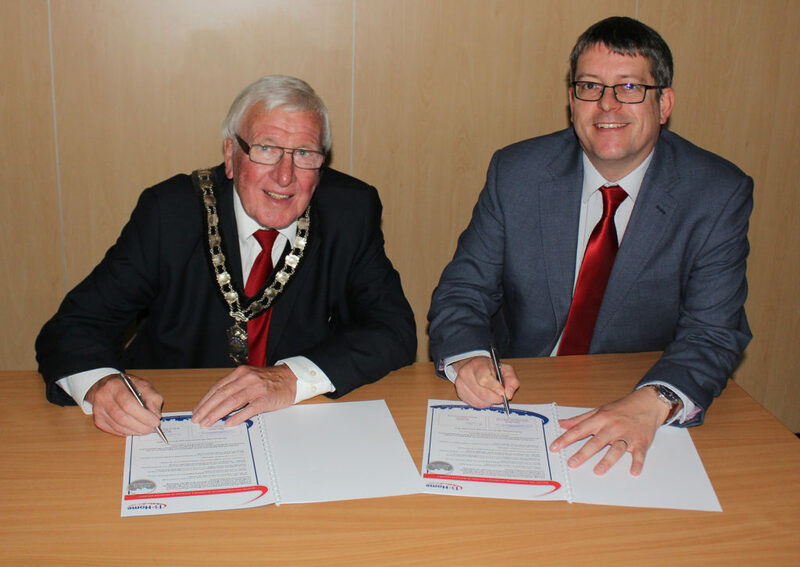 Bolsover District Council’s Deputy Leader, Councillor Mary Dooley said, “The signing of this agreement marks the start of an exciting new phase as we can actually start to build council houses again. By working with Robert Woodhead Ltd and Efficiency East Midlands we can pool our expertise and knowledge to make sure we get the highest quality developments possible. The Council and Robert Woodhead Ltd are also looking at other areas of land to regenerate and develop into housing schemes.